Tucked alongside Leech Lake in north central Minnesota, Walker is the ideal combination of pioneer spirit and lakeside serenity. The city was founded in 1896 in Cass County thanks to its proximity to a railroad stop. According to Ojibwa legend, a captured maiden – with the aid of Indian deity Hiawatha – struck a magical spear into dry rock and created what is now Leech Lake. One of Minnesota’s largest, the lake has made Walker a popular tourist destination, and its location in the heart of the Chippewa National Forest means visitors enjoy plenty of fishing, hiking, biking, snowmobiling and skiing. In the summer, miles of unspoiled beaches are available for sunbathing and swimming, and nearby aspen forests are ideal for hiking and for fall and winter hunting. Visitors and residents also enjoy the friendly, small-town vibe of the downtown area, which features quaint craft shops and relaxed eateries as well as more sophisticated restaurants and boutiques. The Walker area offers four seasons of relaxation and adventure for all ages. The International Eelpout Festival, named for an unattractive, difficult-to-catch fish, has been drawing crowds at Leech Lake since 1979. The February competitions and ice antics include ice drilling, sled dog rides, a polar plunge and an on-ice auto race. 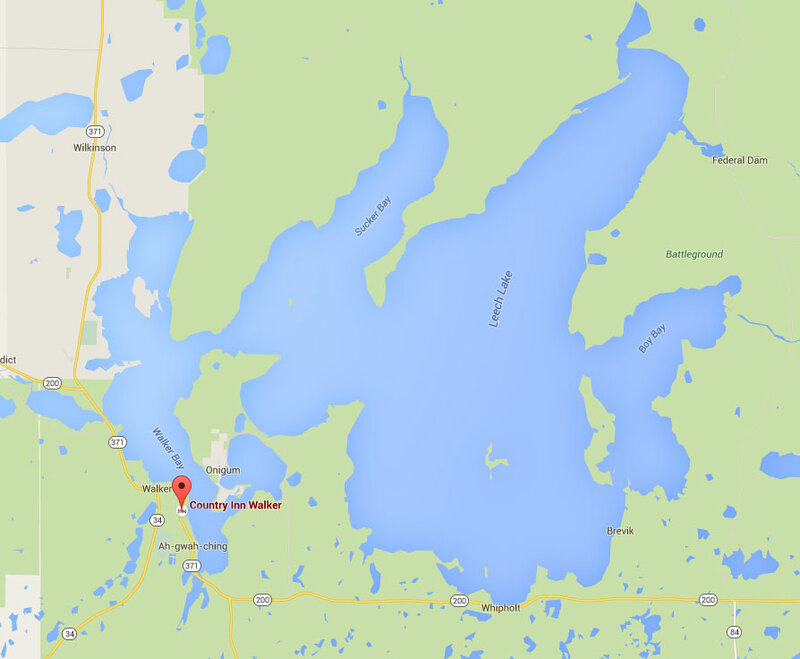 Click to enlarge and see where we are located on Leech Lake!